Sydney, Australia (March 15, 2018) BTN — A high-ranking Finks bikie has been refused bail after police raids discovered guns, ammunition and drugs with an estimated street value of $4 million. Martin Francis Klein, 35, was arrested while visiting a storage case in a residential carpark in Sydney's north-west on Wednesday. 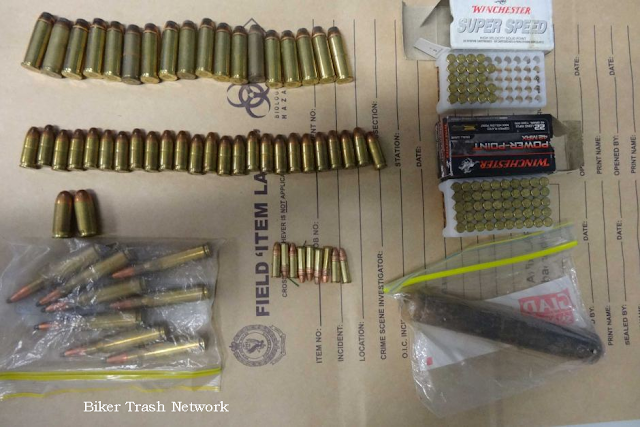 A day earlier, police had executed a search warrant on the cage at Kellyville Ridge, with officers uncovering more than 17 kilograms of MDA pills, 1.7kg of powder suspected to be cocaine, and more than 67kg of powders believed to be MDA, assorted pre-curser chemicals, two firearms, a silencer and ammunition. Detective Superintendent Deborah Wallace said the amount of drugs uncovered was significant. "That is capable of producing what we would say conservatively [is] 200,000 individual pills at an estimated street value of $4 million." Following Mr Klein's arrest, police also seized a revolver, ammunition, encrypted phones, a hydrogen chloride gas cylinder and various documents during raids on a unit at the same complex and a home at Beaumont Hills. 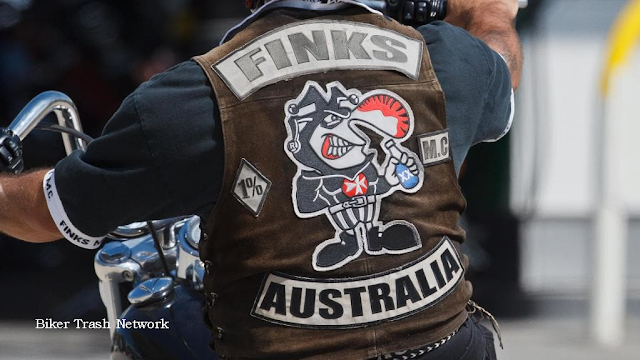 Detective Superintendent Wallace said the raids were part of ongoing investigations into violent conflicts between outlaw motorcycle gangs across NSW, and in particular, a dispute between the Finks and the Nomads. "We are always investigating every crime these criminal groups and outlaw motorcycle gangs are involved in, but particularly where we're seeing violent conflicts — when we're seeing the potential of innocent people being harmed through reckless, ad hoc, random shootings — then we step it up," she said. She said police managed conflicts between outlaw motorcycle gangs by going "straight to the cause of these conflicts which is usually over turf, money owed [or] drugs". "So by taking out the catalyst for these disputes is often a way of resolving them for the community." She said police would be alleging that, as a senior member of the Finks, Mr Klein was a "key player" in the drugs distribution network. She said police were expecting to make more arrests. "The bottom line is, if you want to get involved in these conflicts and violence then we will throw every resource we can at it." Mr Klein on Thursday appeared at Blacktown Local Court on charges of commercial drug supply and 15 firearms offences. He was refused bail and the matter was adjourned to Parramatta Local Court on March 22.